My kids wear me out on Asian food. I love it, but not EVERY.SINGLE.TIME we get to go out to eat. But, knowing this, I use this to get them to go on errands with me that they’d rather not do. Give and take. This place I didn’t mind going. It’s new to us, it’s in Birkdale Village..and turns out it is awfully good. Everything we had was delicious and you can bring your dogs with you and sit on the patio. It was a perfect night for it, too. We started with Dumplings. The waitress advised us to get the pan-fried ones because the steamed dumplings got cold and gummy. She was right. Those little pork filled nuggets were warm, just crispy and perfect when dipped in the sauce. That was a favorite. We also tried the Spicy Wontons. I thought wontons were like those above, but here they were steamed and very pliant. Even though it wasn’t what we thought, these soft pillows filled with pork and shrimp were incredible and we all agreed (even our seafood hater!) that we’d get them again. For my dinner, I had the Tom Yum Noodle Bowl. It was so spicy and delicious! Sour broth chock full of homemade noodles, shrimps, bok choy and flavored with lemongrass. If I ever get sick, someone better bring me this soupy goodness. It’s miracle healing level good. Ty got his standard…ahem… Thai/Ty dish: Pad Thai! He said it was sweet and delicious, with peanuts, chicken and chewy noodles. It came with 2 limes to counter balance the sweetness of the sauce with a little added acid. Perfect! Mary Ashley got her standard: Sushi. She had two rolls. The first was called Bubba Shrimp roll. It was tempura friend shrimp in the middle, with ebi shrimp on top, covered with shrimp sauce. It was her favorite. She wouldn’t let me try it. Her second roll was a Volcano roll, which was a friend roll with crab and crab salad. She did let me try that, and it was really really good. Especially with the cream cheese inside. Loved! For dessert we got Bubble Tea! The tea part was delicious, but I’m on the fence about those bubbles. They are gelatinous masses (Tapioca pearls, I’ve heard) that are barely flavored and just make your drink chewy. I don’t get it. Anyway, we got Thai tea flavored and Mary Ashley got Taro. Hers was the best…it tasted like a sugar cookie. The service here was also impeccable. The place is smallish on the inside, but it was not overflowing with folks when we got there. Lots of windows and high ceilings do a lot for not feeling crowded. We’ve found a new favorite spot. Do you love bird watching? 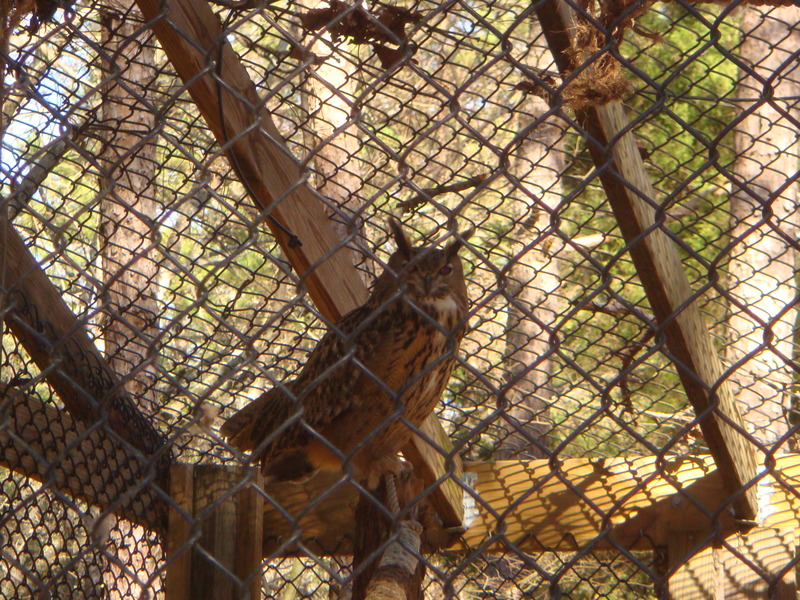 The Carolina Raptor Center is bird watching EXTEME! I never knew we had so many beautiful species indeginous to our area! 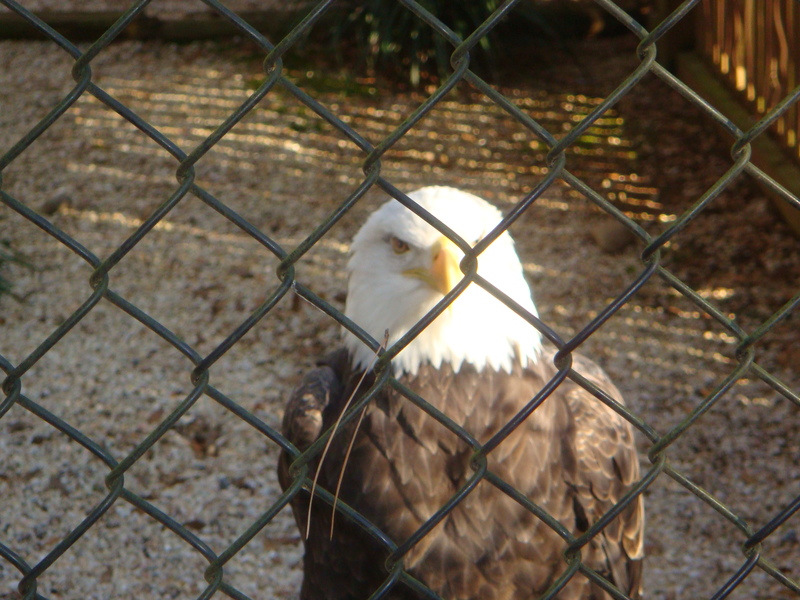 Before you get tore up because these birds are in cages, know that this is a center for injured birds who for some reason or another cannot be returned to the wild or simply have not been healed enough to be released yet. In essence, it’s a good thing. My favorites were probably the Owls. 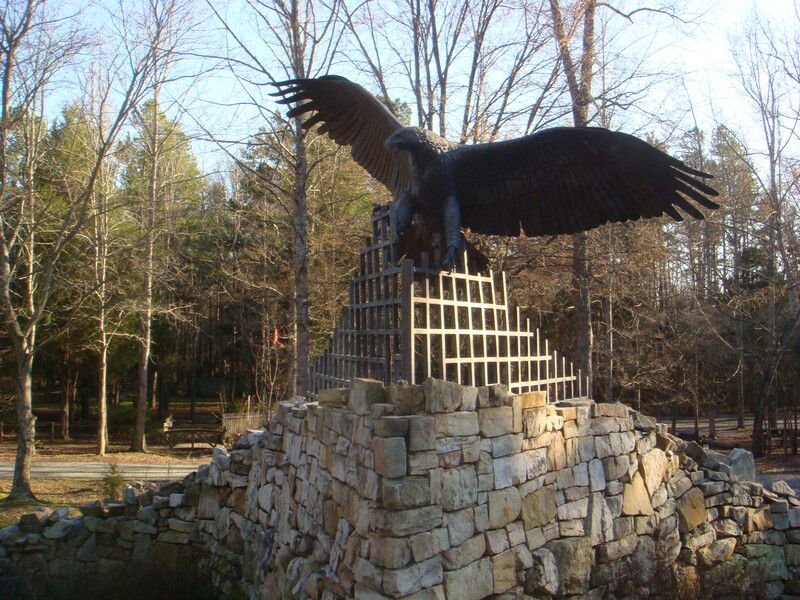 They had a display with all of the varieties seen in Harry Potter and the Owls of Ga’hoole. The paths that you wander looking at all of the birds and owls meander through shady tree-lined, relatively flat packed soil and pine needles. While not really wheelchair friendly, it is easy for someone who has trouble walking to navigate, with plenty of places to sit and rest along the way. There was even a section that had picnic tables if you wanted to have a snack, but there are prettier places in Latta Plantation (where the Center is located) to enjoy your lunch. At the end, visit the gift shop. The owners are so kind and knowledgeable.